Vigneron Didier Delagrange represents the 6th generation to oversee his family’s eponymous domaine in Volnay. After completing his formal studies at the Lycée Viticole (Beaune) in 1990, Didier worked along side his father in both the cellar and vineyards for the better part of a decade before formally taking over in 2003. He currently farms just under 11 hectares of choice vineyards in Volnay, Pommard, Aloxe-Corton, Meursault and Bourgogne Hautes Côtes de Beaune. In the vineyard, Didier utilizes only organic vine and soil preparations, and encourages soil and vine health by plowing between rows. All harvesting is done by by hand, in order to ensure and preserve the best quality fruit. 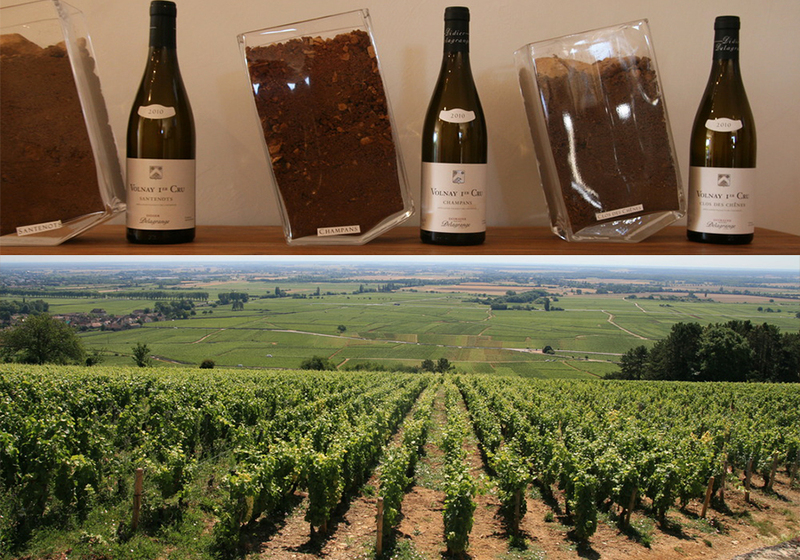 From the approachable and expressive Bourgogne Hautes Côtes de Beaune to the regal Volnay Clos des Chenes 1er Cru, the Delagrange commitment to producing the most accurate expression of terroir for each vineyard is evident in every bottle. Domaine Delagrange’s entry level chardonnay comes from 3 hectares of vineyards in the AOC of Bourgogne Hautes-Côtes de Beaune. It is a great introduction to the white wines from the domaine. Domaine Delagrange’s entry level pinot noir comes from 3.35 hectares of vineyards in the AOC of Bourgogne Hautes-Côtes de Beaune. It is a great introduction to the red wines of the domaine. Domaine Delagrange crafts this exuberant and classy pinot noir from a .61 hectare parcel in the lieu-dit of Les Vaumuriens Hauts. Domaine Delagrange crafts this powerful pinot noir from a .5 hectares of vines in the Premier Cru vineyard of Les Bertins. Domaine Delagrange crafts this most elegant pinot noir from .61 hectares of vines in the Premier Cru vineyard of Clos des Chênes.